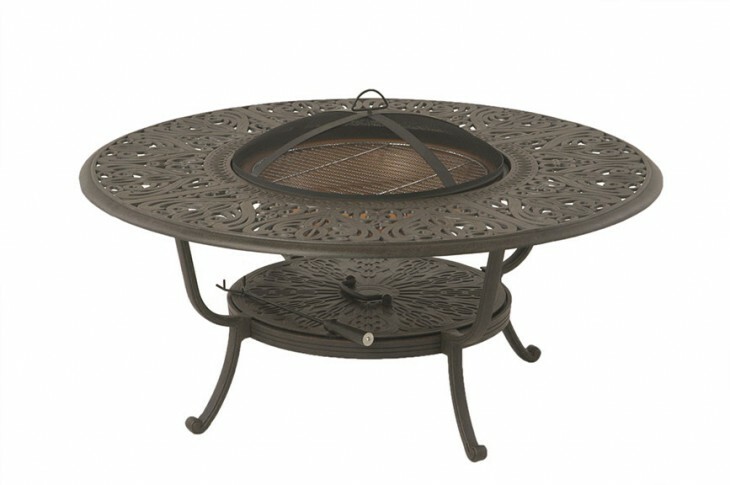 The 48" Tuscany wood burning fire pit has a simple woven top that accents any outdoor space in which it is used. It comes with a copper bowl and accessories. Place the matching lid on the bowl and this wood burning fire pit doubles as a table. Its cast aluminum construction and copper bowl will last many years. Available in two frame colors: Black and Desert Bronze.